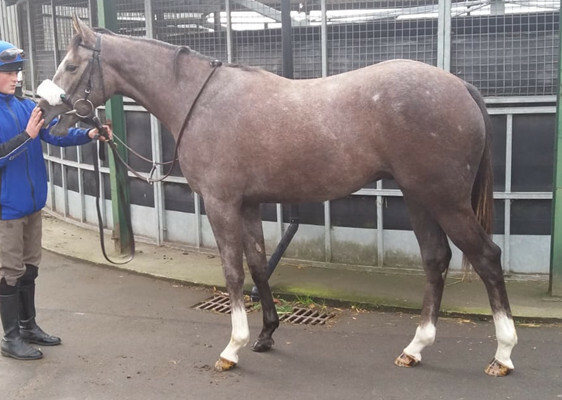 Ontoawinner are delighted to offer this imposing Grey colt by Outstrip. 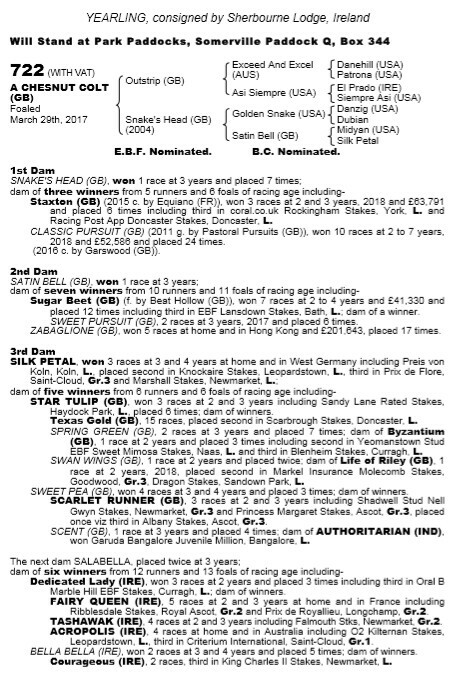 We purchased this stunning colt with Richard Fahey and Robin O’Ryan at Tattersalls book 2. At 2 Outstrip won 1st Time out in impressive style at Newmarket over 7 furlongs winning by 1 and ¾ lengths. He then went on to win the Breeders’ Cup Juvenile Turf (colts&geldings) at Santa Anita, Group 1 over 8 furlongs beating Giovanni Boldini and Bobby’s Kitten. He won the AttheRaces Champagne Stakes at Doncaster, Group 2, over 7 furlongs beating The Grey Gatsby and Cable Bay. He was 2nd in the Veuve Clicquot Vintage Stakes at Goodwood, Group 2, to Toormore, only beaten a neck, he was third in the Dubai Dewhurst Stakes at Newmarket, Group 1, to War Command. A truly outstanding 2-year-old campaign. At 3 he was third in the Group 1 St James’s Palace Stakes at Ascot to Kingman. He was retired to stud at the end of his 4-year-old season. This is Outstrips first season with yearlings and we think he offers superb potential of producing top class offspring. 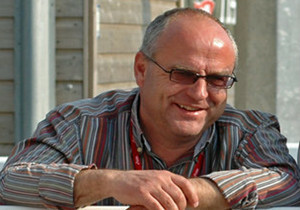 The dam – Snakes Head was a winner at 3 and she placed a further 7 times. She is the dam of 5 runners of which 3 are winners. Our own horse Staxton, a debut winner and a multiple Listed placed horse, current with a RPR rating of 106 is the dam’s best produce to date. This is another reason we were very keen to purchase this Colt. He is a cracking physical specimen being very racy looking but with the size and scope to be progressive. He has a strong page and we are delighted to have him in the string. Richard is very happy with his progress and thinks this is a very nice horse with a big future. We have limited shares available in the superb looking Horse.